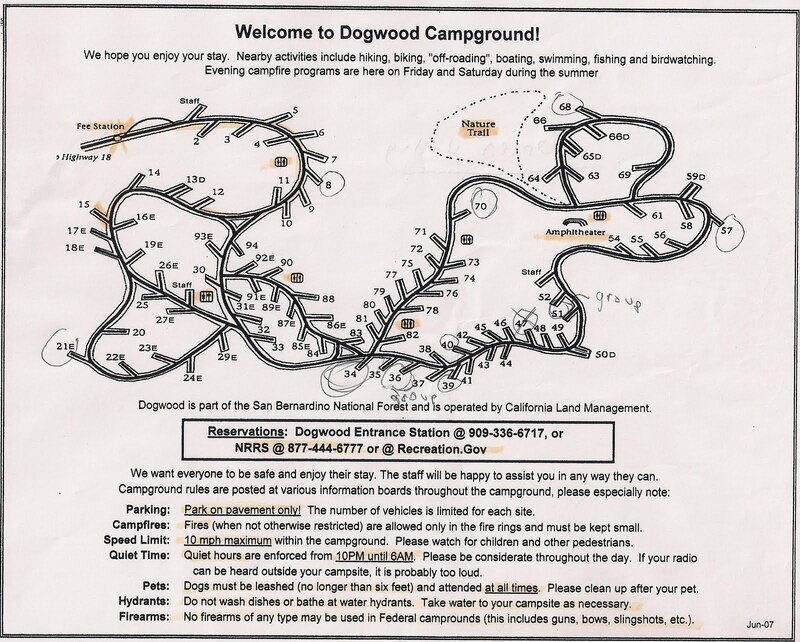 Dogwood campground is a beautiful mountain campground located about 10 minutes from downtown Lake Arrowhead and 5 minuets away from Rimforest. From CA SR 18, turn off on Daley Canyon Road, where the turn off for Dogwood is immediately on the right. It is difficult to find at night since the intersection isn’t lighted, so as a rule of thumb, if you hit the high school to the east or the town of Rimforest to the west, you’ve gone too far. The drive up from Los Angeles is pretty painless, especially since SR 18 is a two lane highway for most of the trip up the mountain. The views from the Rim of the World Highway are spectacular, on a clear night you can see the lights of the entire Los Angeles basin. Although the area around Lake Arrowhead is pretty developed for a mountain area, keep in mind that the roads are still mountain roads, and with Friday night traffic they can be difficult for someone with little prior experience. The campground itself was nothing less then a quintessential mountain escape. Although close to the Stater Bros and 711 in Lake Arrowhead (and the Dominos Pizza in Rimforest, if anyone else forgets their stove), the campground felt like it was in the middle of the forrest, miles from civilization. The sites are generally spaced decently far apart, and a few, such as ours (site #15) are actually pretty secluded. 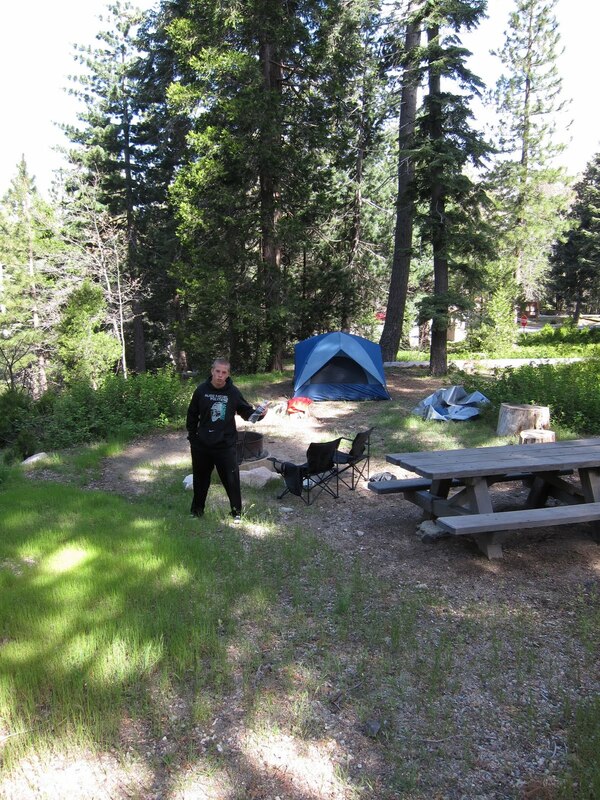 The campground was very quiet, and there were multiple campground hosts that were accessible and friendly. Firewood is available within the campsite at about $8 a bundle, and there is enough tinder for even a challenged suburbanite kid like me to start a fire. The weather was pleasant during the day and hovered in the mid 60’s, but it was in the 30’s at night. We slept in sweats and sweatshirts along with sleeping bags and were fine, and I’d imagine it will be a lot more moderate in the summer months. There were no bugs at all and never more then a slight breeze. The stars were absolutely amazing, there is nothing cooler then gazing up at the night sky from 6,000 feet, especially when you’re only used to the glowing lights of the city. Sites I would took note of for future trips are numbers 8, 15, 21, 39, 40, 51, 57, 68, and 70. These sites have a good mix of privacy, shade, and accessibility, but then again they are just my personal recommendations. The campground is laid out on the ridge of a hill basically, with a curvy one lane load leading to the entrance. From there, the bottom loop (sites 14-21) are on the edge of a slope that recedes back down to the entry road, far enough away that any occasional noise from that road is never a factor. Sites 71-82 and 38-49 are terraced back to back on a road receding from the top of the campsite, where the nature trail can be found. All sites were decently spacious, and there is more than ample shade in just about all sites. Bathrooms were very clean and had toilet paper, always a plus. Overall, I would highly recommend this campsite. Although each visit is different and can be affected by loud guests or lousy weather, our trip was nothing but serenity. More information and reservations info can be found here. Great blog post. Yeah, my family and I stayed at site 14, which was okay, but was a bit sloped. Site 15 looked better. We’re going to try to get 39 — we also thought it was a nice site at Dogwood. Interestingly enough we went through here last weekend with friends, looking for sites for a future camping trip. We have a mountain getaway cabin close-by in Crest Park. We were really pleased with the layout and cleanliness of Dogwood. We would even bring our 5th wheel up and stay here, if there was a group camping area. Then again,we could make our own group camping with connecting sites. Hmm…I think Dogwood is a good bet, but keep in mind that a lot that determines privacy and quiet is not where or when you go, but just dumb luck. 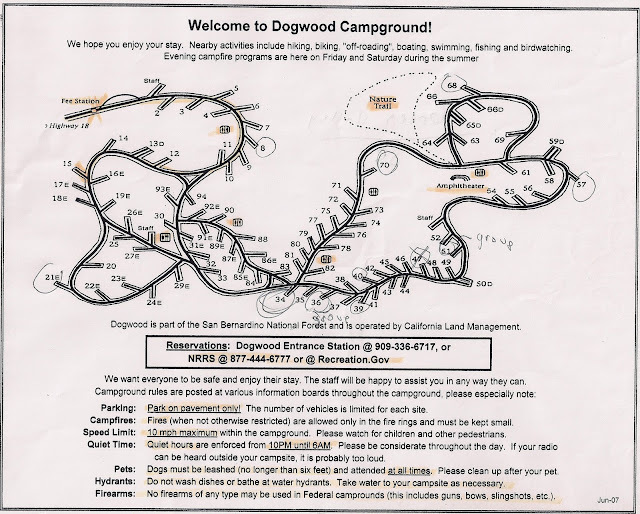 Dogwood was really quiet and peaceful when we went, but it only takes one campsite full of college kids to make that all change (I remember when I camped in big bear when I was a little kid that the Rangers had to come and evict a group of partiers that wouldn’t stop). 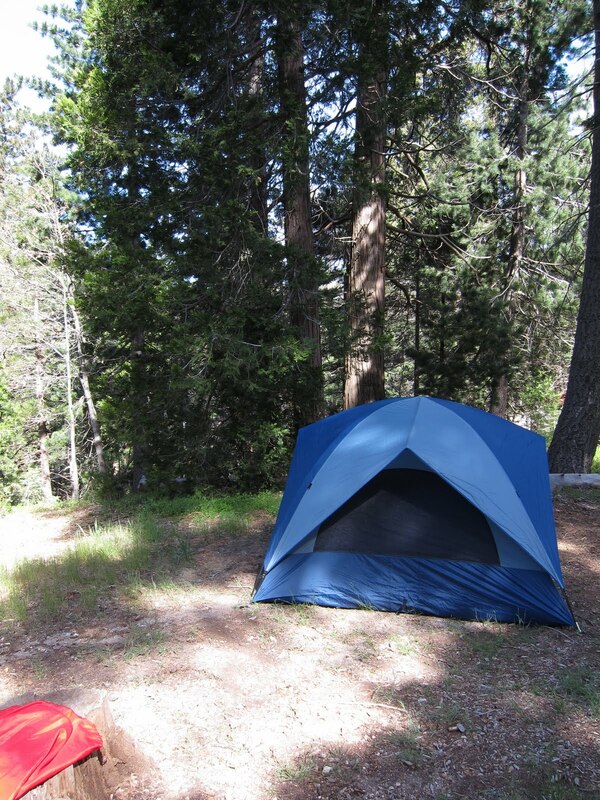 Anyways, Serrano Campground at Big Bear might be a good plan B – fairly private, still in the pines (depending on the loop), and fairly close to all that Big Bear has to offer. Hope that helps – let me know if you have any other questions and where you guys end up!